How far off the ground is the decking? Maybe an inch. Enough to allow drainage and airflow. 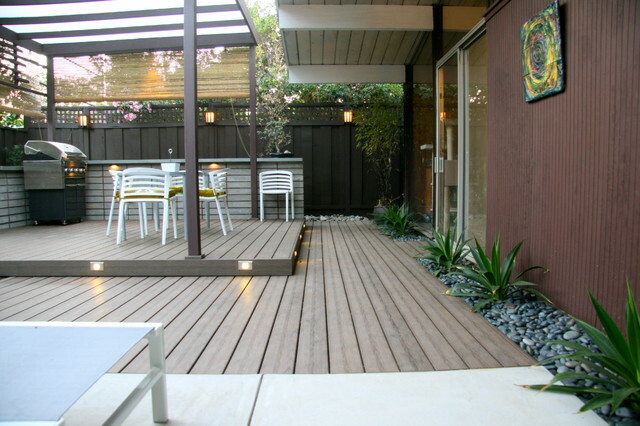 What type and brand of decking was used here? rocks by plants instead of just dirt?